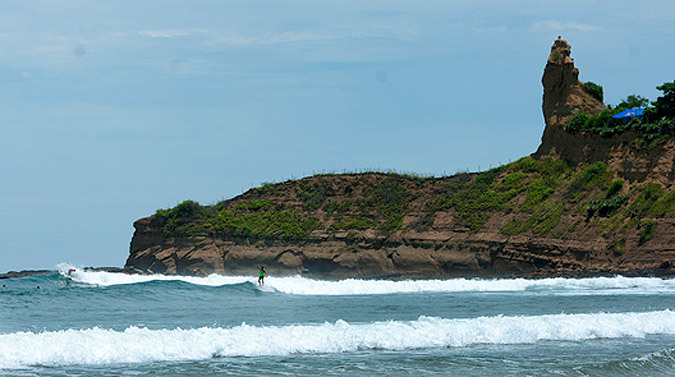 A total of 21 countries and over 130 athletes are confirmed to compete in the 2013 ISA World Masters Surfing Championship in the beautiful and vibrant town of Montañita in the Province of Santa Elena, Ecuador. The confirmed countries are Argentina, Australia, Brazil, Chile, Costa Rica, Denmark, Dominican Republic, Ecuador, France, Great Britain, Hawaii, Japan, Mexico, Panama, Peru, Puerto Rico, South Africa, Spain, Uruguay, USA and Venezuela. “At this point there looks to be plenty of surf throughout the event from a combination of southwest, south and northwest swells with head high+ waves and overhead sets from April 7-9 with potential for a similar, or even larger, size combination of northwest and south swell over the last few days of the waiting period,” said Surfline’s Head Forecaster Kevin Wallis.